I am a beginner baker and in the process of trying out new cookies and biscuits. 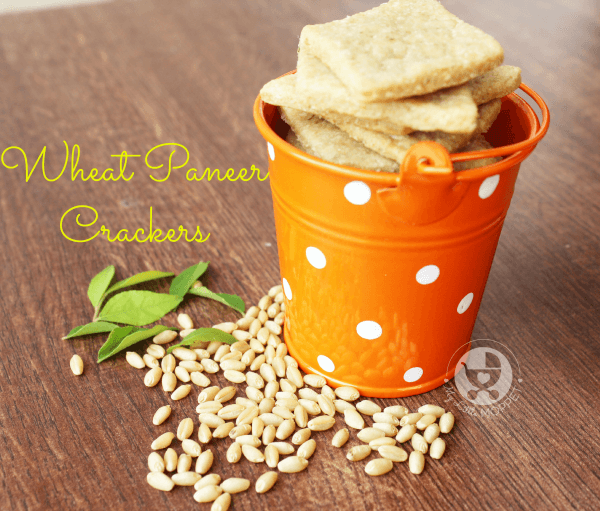 I decided to stay away from the sweet stuff this time and tried out this Paneer Wheat Biscuit Recipe from Indian Healthy Recipes. 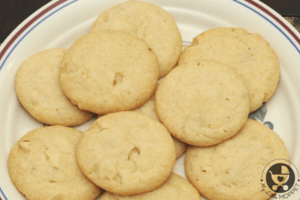 They’ve turned out to be super yummy, and I’m sure you’ll love it too! 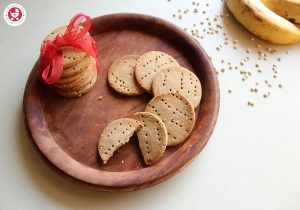 These Paneer Wheat biscuits can be given to toddlers and babies above 8 months. When making whole wheat biscuits for babies you can skip the baking powder, salt, chillies and add a 1/4 teaspoon of pepper instead. Salt – For babies below 1 year no need to add salt as the butter is salted, for kids above 1 year, salt can be added according to taste. 1. Sieve the wheat flour and baking powder together and set aside. I always seive the flour for cookies or biscuits as it gives soft texture. 2. Preheat the oven to 170 C, grease a baking tray and set aside. 3. Grind the onions, green chilly, carom seeds and curry leaves coarsely. I forgot to grind them together, so added finely chopped curry leaves and ajwain powder. 4. 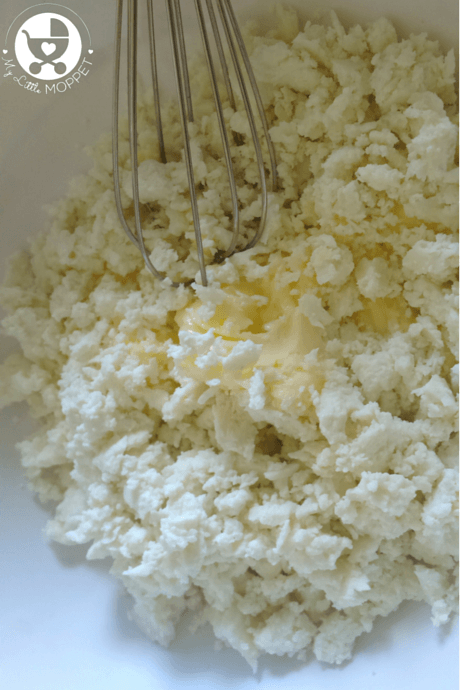 Add crumbled paneer to the butter and whisk till smooth. 5. Add flour and the rest of the ingredients to this and mix well to form a non-sticky, stiff dough. 6. With a rolling pin, roll out the dough and cut with cookie cutters. You can also take a ball of dough and flatten it in you hands to make round cookies. Ensure that the cookies are thin to make them crispy. 7. Take a fork and pierce the crackers, so that they do not puff up. 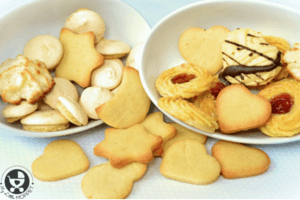 Bake them for 15 to 20 mins at 170 C. Keep checking every 15 minutes, and take out the biscuits when they start browning slightly. Don’t worry if the biscuits seem soft initially; after cooling they turn out crispy. 8. Cool the biscuits on a wire rack. Store in an air tight jar; they last well for more than 15 days if stored properly. One look at the labels of popularly available branded biscuits will make your head spin! 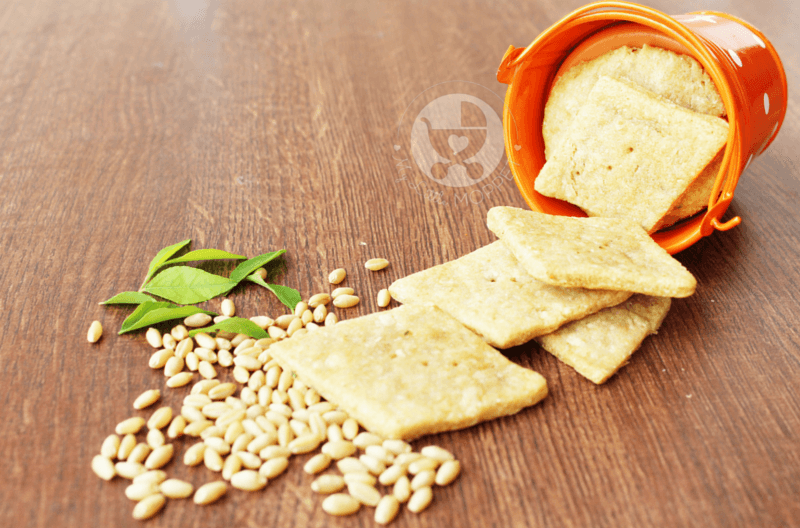 So give them a miss and make these biscuits that have the goodness of whole grain and paneer – along with incredible taste! 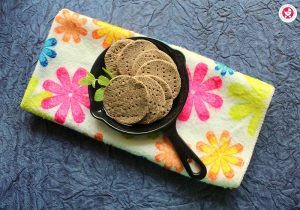 Give the store bought processed biscuits a miss, and make these incredibly tasty and savory Paneer Wheat Biscuits!! Sieve the wheat flour and baking powder together and set aside. I always seive the flour for cookies or biscuits as it gives soft texture. Preheat the oven to 170 C, grease a baking tray and set aside. Grind the onions, green chilly, carom seeds and curry leaves coarsely. Add crumbled paneer to the butter and whisk till smooth. Add flour and the rest of the ingredients to this and mix well to form a non-sticky, stiff dough. 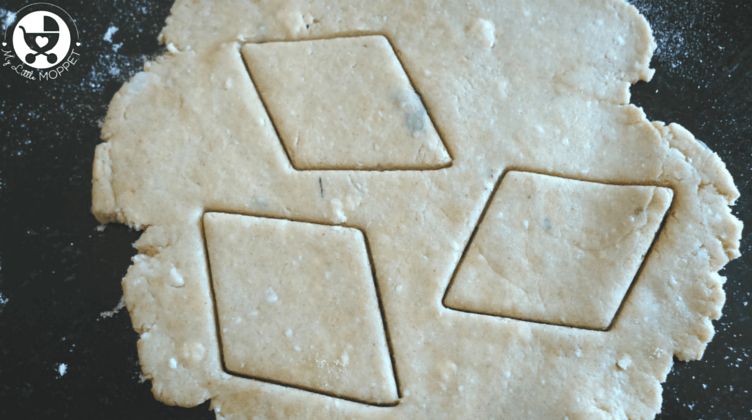 With a rolling pin, roll out the dough and cut with cookie cutters. You can also take a ball of dough and flatten it in you hands to make round cookies. Ensure that the cookies are thin to make them crispy. Take a fork and pierce the crackers, so that they do not puff up. Bake them for 15 to 20 mins at 170 C. Keep checking every 15 minutes, and take out the biscuits when they start browning slightly. Don't worry if the biscuits seem soft initially; after cooling they turn out crispy. Cool the biscuits on a wire rack. Store in an air tight jar; they last well for more than 15 days if stored properly. Can I substitute ghee instead of butter? Sure dear you can do that. Thanks for the recipe. Can this be used while travelling or do these cookies need to be kept in a fridge? Yes dear withoug onion is fine and pinch of turmeric sure. Hi Preethi, you can store it in an airtight container and have it for about 1 week. Can I skip onions as my 15 month old doesn’t like taste of it ? 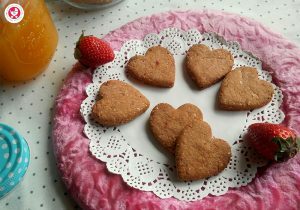 I made these cookies in oven. They came out so well. my son loved these paneer cookies. 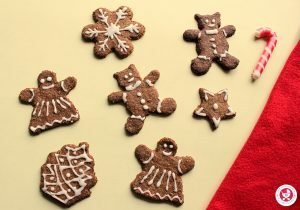 can u prescribe how to make these cookies without oven! Can v use soda salt which v use for aapam? ?